In addition, there is a list of numbers for reporting weeds to the relevant state jurisdiction. If you have additional links of interest to our network, please let us know here. 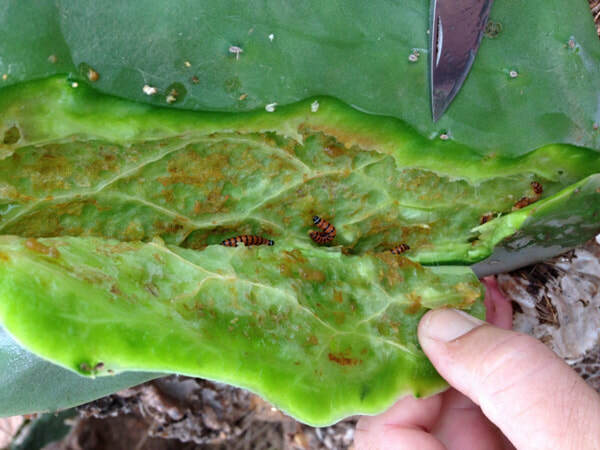 (left) Cactoblastis grubs in Indian Fig, Geraldton, WA. Opuntioid cacti are declared Weeds of National Significance (WONS). Twenty-eight species of Opuntioid cacti are known to have become naturalised in Australia (see Weeds Of National Significance Strategic Plan Opuntioid cacti 2012 to 2017 below). This includes 2 species of Austrocylindropuntia, 8 species of Cylindropuntia and 18 species of Opuntia. Other cacti weed species that have been declared include Harrisia cactus (Harrisia martini). Weed declarations under state biosecurity legislation vary from state to state and in some cases within states. In Victoria pest assessment has been done on leaf cactus (Pereskia aculeata). The succulent plant mother of millions (Bryophyllum spp.) has been declared in several states. No cacti weeds have been declared in Tasmania. South Australia: Contact NRM Biosecurity on (08) 8303 9620, or your local NRM group. Report suspected new weeds to the National Pest Alert Hotline (freecall) 1800 084 881. 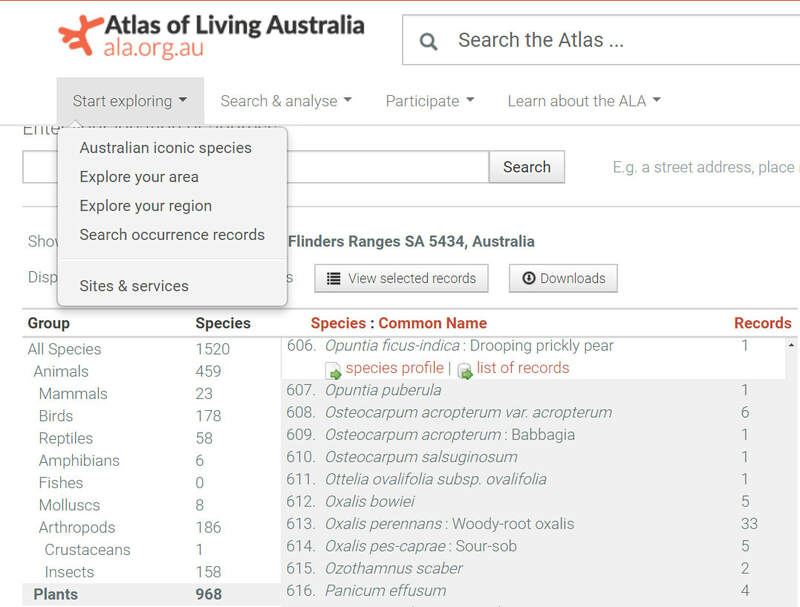 Somewhat less challenging to use is the Atlas of Living Australia, which is the reference database for the Australasian Virtual Herbarium. Go to Start exploring, then Explore your area, to see what organisms have been recorded within a given radius of a selected point. 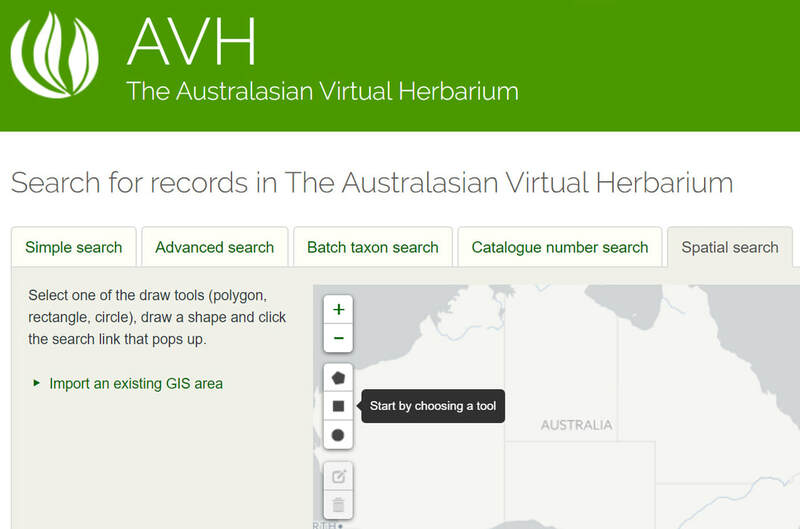 The Australasian Virtual Herbarium can look a bit daunting to the uninitiated, but it is a treasure trove of information. The spatial search function is particularly useful for finding out what has been recorded for a particular part of the country. You can also do far more technical searches once you get the hang of it.